My Top Lust Have for September - this month came in a Silver bag, sorry for the lack of photo, my camera is on the fritz! 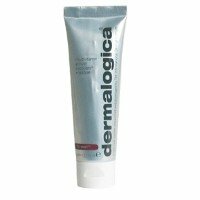 DERMALOGICA MULTI VITAMIN POWER RECOVERY MASQUE 15ml sample, RRP 75ml $76 - An ultra-replenishing antioxidant rich masque that helps rescue stressed, aging skin. I have never tried any Dermalogica products before but I am really happy to have received this sample instead of more moisturiser and cleansers, it is something a little different to try. There was also a card for a FREE Facial Treatment to the value of $90 with the purchase of $50 of Dermalogica products. 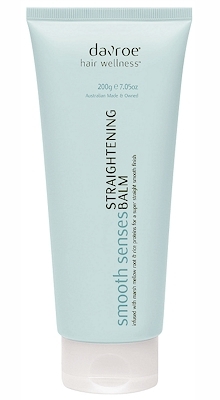 DAVROE SMOOTH SENSES STRAIGHTENING BALM 50g sample, RRP 200ml $22.50 - A weightless anti-frizzing smoothing creme, ideal for temporary straightening and taming flyaways, infused with Marshmallow root and rice protein to ceate a smooth hold and super shine. Davroe have a great range of natural hair products with no added nasties this was a worthwhile sample for me to find this month. Davroe also included a GIFT OF WELLNESS SPECIAL OFFER Promo code which you can redeem for one free Styling Product with a value worth over $20. If you just claim your free product you need to pay postage but if you purchase other products to the value of $50, shipping is free. AVENE COLD CREAM 10ml sample, RRP 400ml $35.95 - Skin moisturiser, I like Avene products but I have already received this one before, would liked to have tried something different. MIRENESSE "ACE OF BASE" 1.5g sample, RRP 4.5g $35 - 3 in 1 anti-ageing concealer, works as a concealer, eyeshadow base and line minimiser in one. Love Mirenesse products, looking forward to see if this product does what it claims. This product also came with a Redemption Code for a FREE Cats Eyes Liner, I have entered the code but as it was only for the first 1000 customers and I never receive my LHI box early I doubt I made the 1000. 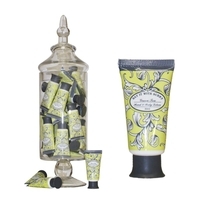 SAY IT WITH SCENT Green Tea Hand and Body Lotion 30ml sample, RRP 200ml $26.80 - Plant based moisturiser with Mandarin and Lime essential oils, this is a lovely smelling lotion and the full sized bottles are just divine, I think I will have to purchase some of this product just for the bottle, I received the tube. 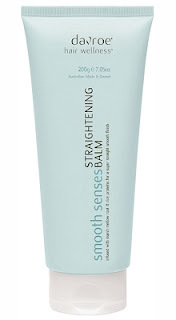 I didn't find the Say It With Scent website to be very good but I discovered that this brand is for sale on Ebay and you can purchase the lotions in refills. The beautiful glass bottles are refillable and once you make the initial purchase for the bottle the refills are substantially cheaper. I think these would make a great gift for someone special. I received the Bold and Beautiful Box this month I usually get the Luxe and Luscious but after seeing what was in that one, I am really glad I didn't get it, the samples were really ordinary. Out of the two boxes that I subscribe too, I find LHI are the better of the two, the samples are better value and the customer service is friendlier. I just wish LHI didn't arrive at the end of the month, the September box should be enjoyed in September.